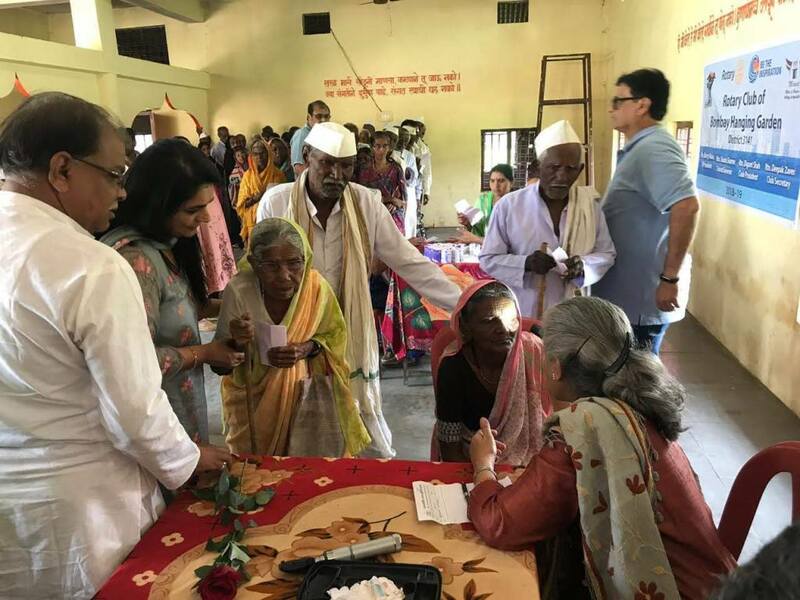 RCBHG organised eye check camp at Bordi Village, some 55 kms from Akola. 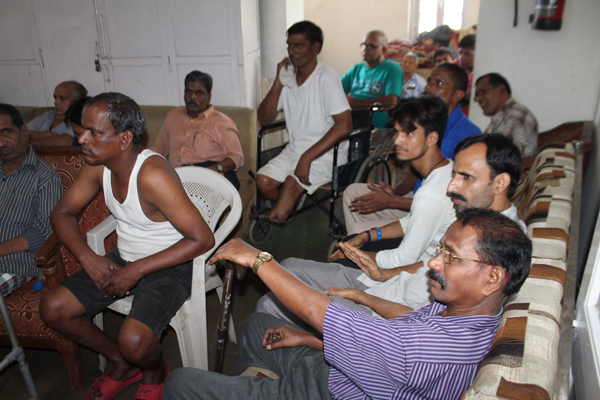 There were 410 registration of which a whooping 141 were found to have cataract. 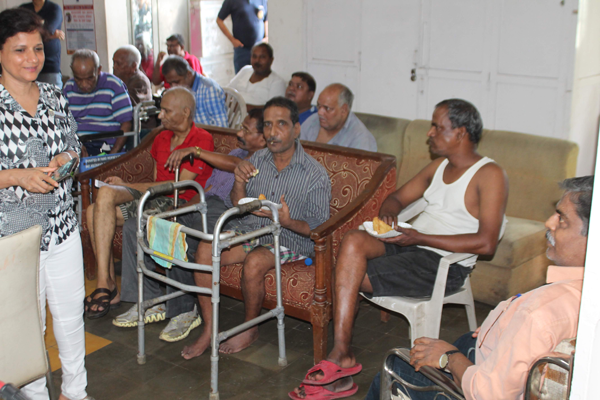 They were refered to Damani Eye Hospital at Akola where Cataract surgeries will be done free of cost. Totally 750 surgeries will be done this year. 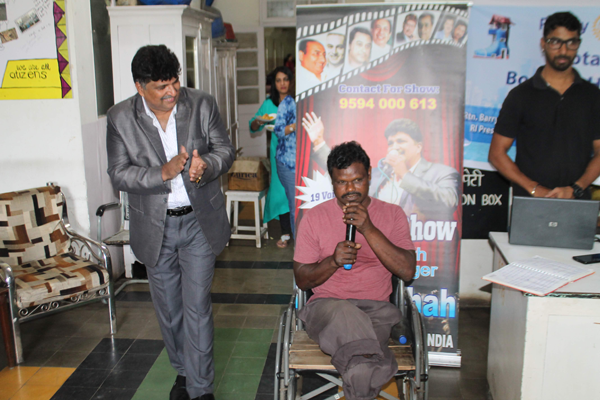 This flagship project-Camp for the differently abled-was organized with our implementation partner Ratna Nidhi Charitable Trust. There were approx 500 registrations for this camp (gathered through visits to nearby villages & other pre-camp activities). The duration of the camp was from 24th to 26th November & the registrations include people from all age groups (from 3 to 60+). 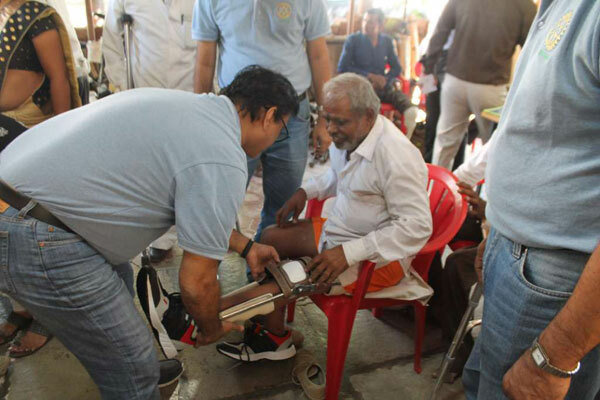 Among the services offered at the camp were provision of callipers OR Jaipur foot OR crutches, depending on each person's need. Inaugurating the camp, RCBHG President Digant said that we were proud to be the sponsors for this project for the 15th year & that our Club will be happy to do whatever it takes to enhance the lives of the differently abled. 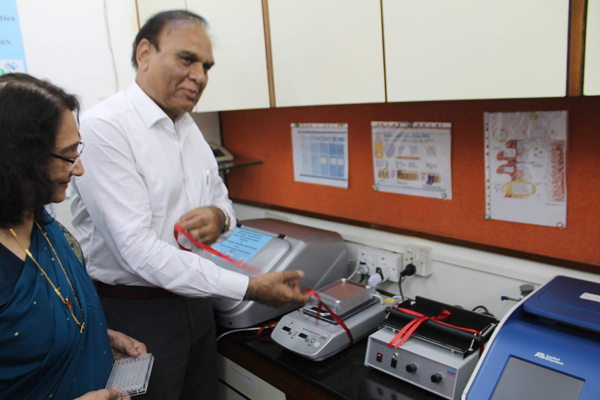 RCBHG when the Club donated the machine for detection of cervical cancer along with kits for testing 1000 women to the Cancer Patients Aid Association (CPAA) at King George V Memorial complex, Mahalaxmi, Mumbai. 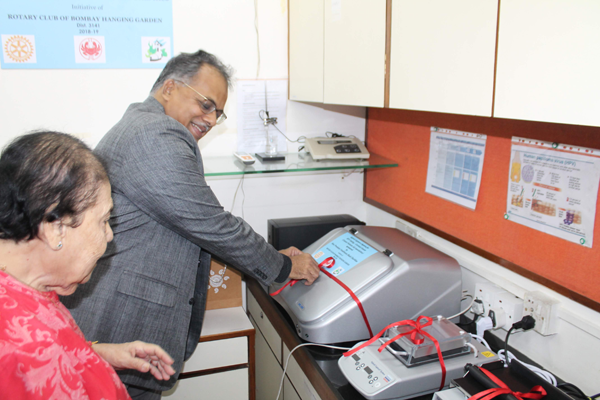 Cervical cancer is one of the rising causes of cancer deaths amongst women and as Dr Dhananjaya Sarnath of CPAA explained, most of which could have be prevented with an early detection. 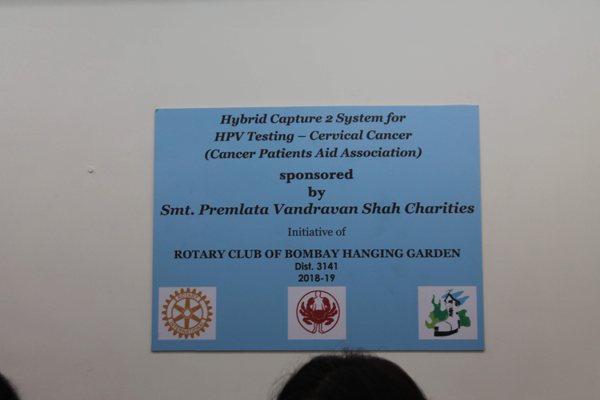 She further explained that about 99% of cervical cancers are caused by High Risk Human Papilloma Viruses (HR-HPV), and the detection by HPV-DNA testing through this State-of-the-art technology machine -Hybrid Capture 2 (HC2) has a sensitivity and specificity of around 95 % (as against 55% in Pap Smear test). Once detected early the prevention rate is almost 97%. Many thanks to PDG Gopal Mandhania for getting us this proposal and for his gracious presence during inauguration of the project. Oral care is one of the most neglected areas in health care and more so when it comes to lower strata of the society and in case of their children ….probably its only need based. 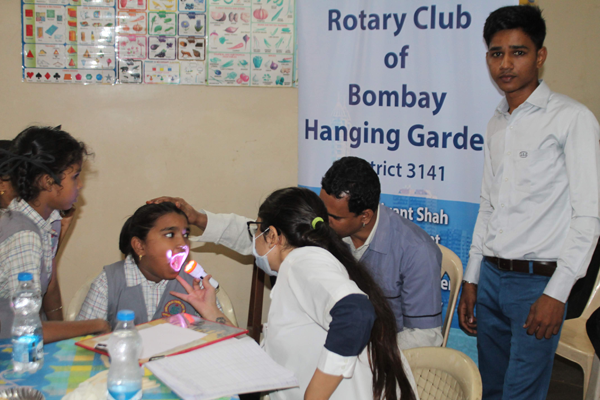 Addressing this aspect of healthcare, our club in association with Rtn Lalit Grover’s Manav Seva Sansthan held a Dental care camp at the Aryan school for all of their children from Class I to X. The camp would continue for around 3 days whereby each student would be examined and if found necessary, would be called to Tambwekar dental Clinic for further treatment. In case of young children, their parents would be consulted and explained. 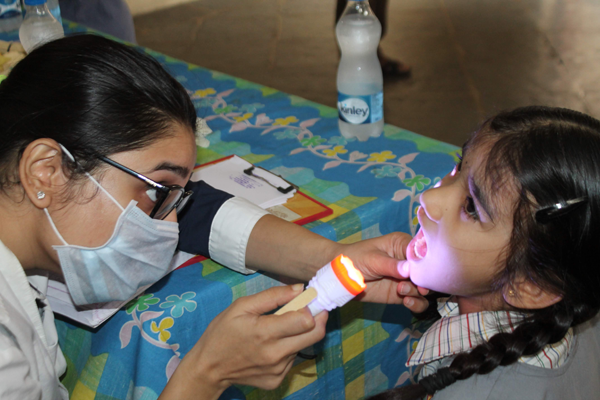 An awareness program is also scheduled wherein the class teachers would be explained who in turn would impart Dos and Don’ts for Oral care among students. So lost are we in our world of opulence that we seldom notice the other side of deprivation. 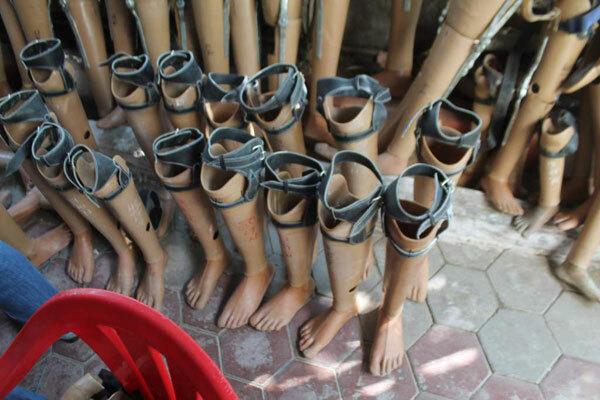 We may not be able to give happiness to “les miserables” ,the people in poverty, socially ignored, physically challenged, but we could surely attempt, even momentarily, to make them forget their miseries, reinvent their smiles and show them their silver lining. 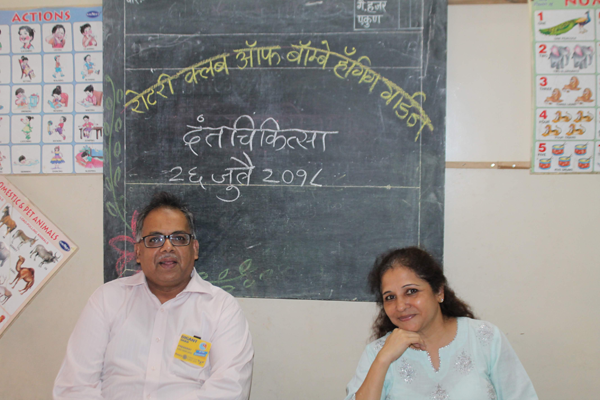 It was with this noble thought that our club embarked upon the project “Baghban” held at King George V infirmary, near Mahalaxmi Stn, (housing about 70 old age and infirmed patients) coordinated by Rtn Mala Mehta, Director- Projects, Non-Medical. 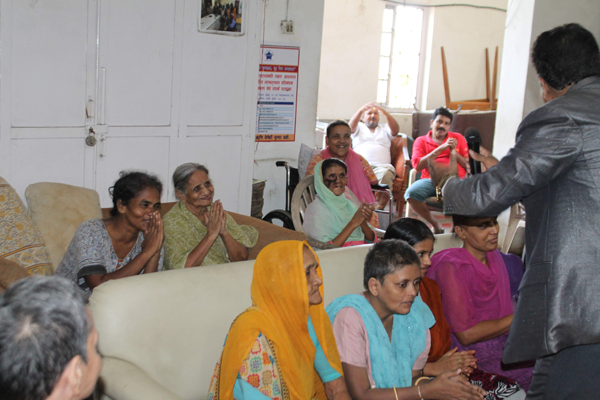 Members and annes joined the inmates dancing on the melodious tunes by Mr Nissar Shah, a karaoke artist, whereas a few of them surprised us with their own singing and reciting talents. It was simply a riot of happiness and the smiles in the eyes of the people will linger for a long long time. The time spent with them was overwhelming and humbling at the same time.